Welcome to M.I.A.P. - M.I.A.P. Media Integrated Applied Psychology, LLC, is a media publishing company based in Central Kentucky. Our company is dedicated to creating and publishing innovative,media-enriched approaches to wellness, with a focus on research and compassion. We strive to create products that have a greater impact on personal well-being and healthfulness, and are committed to a high standard of research-based imagery techniques that make a noticeable difference in people’s daily lives. Specifically, the products we release are meant to help others in their ability to tolerate daily stress, focus their attention in positive and fruitful directions, and grow a more grounded sense of self. See what people are saying about us and our products…. "This was so relaxing and soothing at a time in my life where i thought i couldn't be stressed out more. Busy with one project after another and stressed to the limit some days. The Oak Tree is awesome but i like the Theatre Screen the best. Thank You"
"As a very busy and actively traveling clinician, this is something I use in my own life to get a handle on the responsibilities. By using the Stone & Stream track I have more energy throughout the day, and I feel like I am more mindful about my work (which translates into a better job). Jen Wilke-Deaton will present “Oppositional, Defiant, and Disruptive Children and Adolescents: Non-Medication Approaches” in Evansville, IN on February 11, 2019. Jen Wilke-Deaton will present “Oppositional, Defiant, and Disruptive Children and Adolescents: Non-Medication Approaches” in Louisville, KY on February 12, 2019. Jen Wilke-Deaton will present “Oppositional, Defiant, and Disruptive Children and Adolescents: Non-Medication Approaches” in Lexington, KY on February 13, 2019. Jen Wilke-Deaton will present “Oppositional, Defiant, and Disruptive Children and Adolescents: Non-Medication Approaches” in Boise, ID on February 19, 2019. Jen Wilke-Deaton will present “Oppositional, Defiant, and Disruptive Children and Adolescents: Non-Medication Approaches” in Salt Lake City, UT on February 20, 2019. Jen Wilke-Deaton will present “Oppositional, Defiant, and Disruptive Children and Adolescents: Non-Medication Approaches” in Las Vegas, NV on February 21, 2019. Jen Wilke-Deaton will present “Oppositional, Defiant, and Disruptive Children and Adolescents: Non-Medication Approaches” in Rockford, IL on February 25, 2019. Jen Wilke-Deaton will present “Oppositional, Defiant, and Disruptive Children and Adolescents: Non-Medication Approaches” in Waukegan, IL on February 26, 2019. Jen Wilke-Deaton will present “Oppositional, Defiant, and Disruptive Children and Adolescents: Non-Medication Approaches” in Kenosha, WI on February 27, 2019. 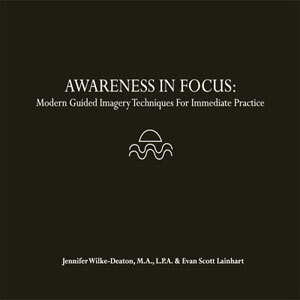 A 5 track CD designed to give listeners the opportunity to easily and effectively enjoy the benefits of cutting edge guided-imagery techniques anywhere at any time. 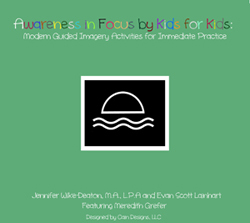 Modern guided imagery activities for immediate practice, recorded by kids and for use with kids. 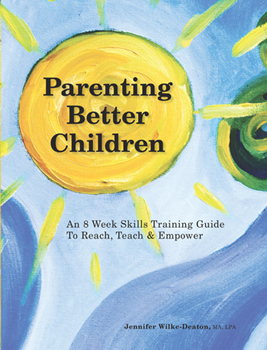 Parenting Better Children is an all-in-one package to manage behavior before it becomes clinically significant.